TROY, NY – With significant snowfall expected to impact the Capital Region this weekend, Mayor Patrick Madden today issued an update on the City of Troy’s winter weather preparations. The City’s Department of Public Works and Public Utilities Crews are coordinating on preparation efforts. 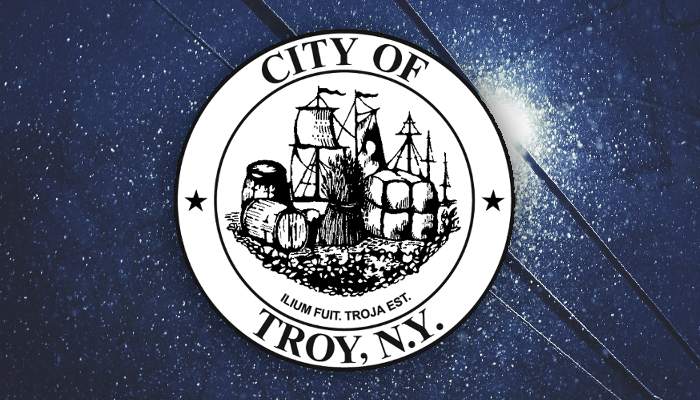 The city will deploy approximately 30 vehicles dedicated to snow plowing and cleanup to keep Troy’s approximately 150 miles of roads and alleyways clear. Sufficient supply of road salt is available to treat streets ahead of the weekend’s expected snowfall. Additionally, Mayor Madden is reminding Troy residents and families to review the city’s Snow Emergency rules and procedures. Under a snow emergency, normal parking rules and regulations will be temporarily suspended on designated snow emergency streets only. During the first 24 hours of snow emergencies, parking on the odd numbered side of affected roadways will be prohibited (unless otherwise temporarily posted). Parking on the even numbered sides of city streets will be prohibited during the second 24 hours of declared emergencies. Vehicles in violation of these guidelines will receive a parking ticket and will be towed, both at the owner’s expense. Roadways not designated as snow emergency routes will be provided with normal plowing services. Parking restrictions in the Central Business District (Federal Street to Ferry Street / Front Street to 7th Avenue) will remain in effect as currently posted unless otherwise notified. Residents are encouraged to utilize available surface lots and parking structures during a declared snow emergency. Free overnight parking is available from 5:00 p.m. until 8:00 a.m. in the following locations: 5th Avenue parking garage, State Street parking garage, Little Italy Market lot, Green Island lot, Front Street lot, 5th Avenue & Congress Street lot, 4th Street lot (intersection of Ferry and 4th Street), the Y-Lot which (1st Street between River and State Street), the Knickerbacker Ice Facility, the South Troy Pool and Frear Park Golf Course. Recycling collection will be suspended during a declared snow emergency. During snow emergencies, residents are asked not to place trash bins in right of ways. Help keep our community accessible by clearing sidewalks of snow and other obstructions. Sidewalks adjacent to properties must be cleared of snow by 10:00 a.m. the day following the end of a snowstorm. Do not shovel snow into city streets – this can create a hazard and reduces effectiveness of snow cleanup by City crews. Know the location of your internal shut off valves in case of a leak or frozen pipe. If a pipe is found to have frozen, keep the faucet(s) open and contact a licensed plumber immediately. If a household water pipe bursts, turn off the water at the internal shut-off valve immediately.